The aim of the St Louis Ag-Tech Trade, Investment and Research Mission was to build connections between the UK, the city of St Louis, and the State of Missouri, focused around innovation for agriculture and food. The delegation visited leading universities and R&D centres in a bid to build relationships and explore business and research opportunities with the potential to mutually enhance the agri-food sectors of the UK, St Louis and Missouri. Marianna Ventouratou-Morys, international strategy manager for N8 AgriFood, said: “It was a pleasure to welcome the delegation from Missouri. 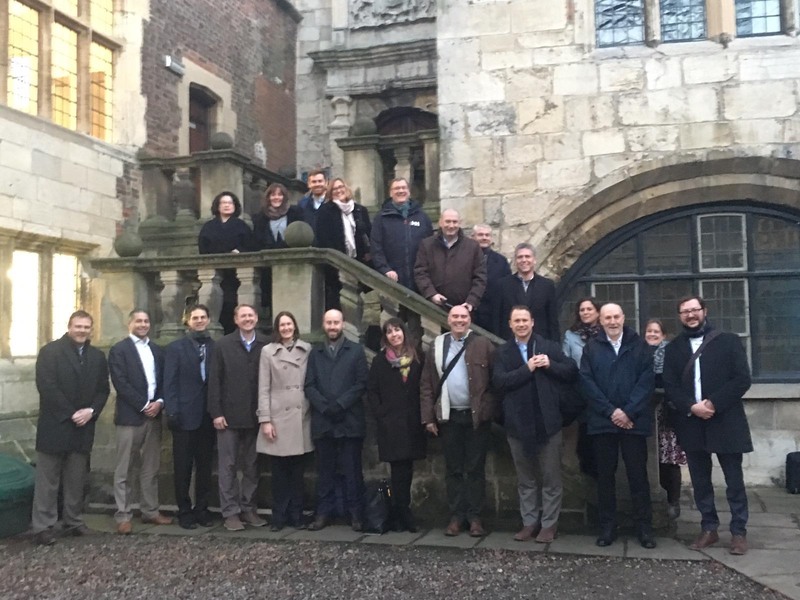 After a morning in York meeting with representatives from Fera and CHAP at the National Agri-Food Innovation Centre, the visiting mission was hosted by N8 AgriFood in the afternoon at the University of York. The itinerary included a showcase of N8 AgriFood’s work, including specific examples of industry engagement across the programme, and short presentations from leading researchers. As well as presentations from N8 AgriFood’s academic lead Katherine Denby, and international lead Steve Banwart, the delegation also heard from representatives from BioVale and the Biorenewables Development Centre; two York-based organisations working alongside N8 AgriFood in the bioeconomy. Previous: Is Veganism for Life, not just for Veganuary?